Toys. If you have kids, you have toys in your house I'm sure. Toys are an essential part of learning, growing and developing creativity in children. Sometimes it can be overwhelming for parents to decide which toys they need for their children since there are so many options out there. Other times it can be extremely chaotic in a household that is overflowing with toys! Lucky for us all, there is a new subscription/toy rental service that solves all of our problems. 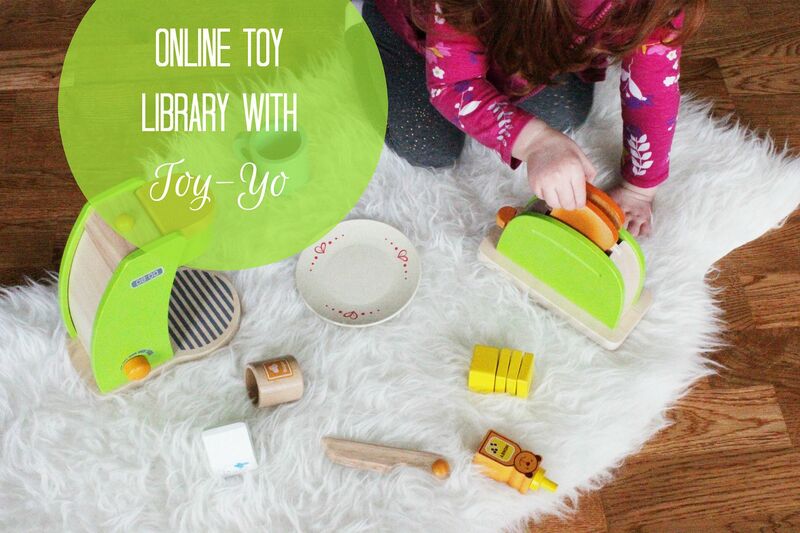 Meet Toy-Yo, an online library full of well-crafted, educational toys. Don't be fooled - just because I use the word educational I also mean that these toys are FUN!!!! Toy-Yo is a brand new company that I have had the pleasure of working with and I'm so excited to introduce them to you. To explain just how incredible Toy-Yo is, I compiled a list of my top reasons that YOU should purchase (or gift!) a membership. Play this video to see Kendall in action with the toys! 1.) You won't be overwhelmed by too many toys in your house. Just like you check books out from the library or rent a movie from RedBox, you can do the same with Toy-Yo. At Toy-Yo, you rent the toys, play with them, then return them and rent more toys. So fun! Parents don't have to stress over finding a place to store all of the extra toys because once your child decides they are finished playing with the toys, you just return them and get a brand new set. I've had a lot of friends start a toy rotation in their house because they find that their children get overwhelmed by too many options. This is similar to that, but without having to find additional storage for the toys not in use. 2.) They carry safe toys. Parents, don't be concerned about toxic products where the Toy-Yo toys are concerned. 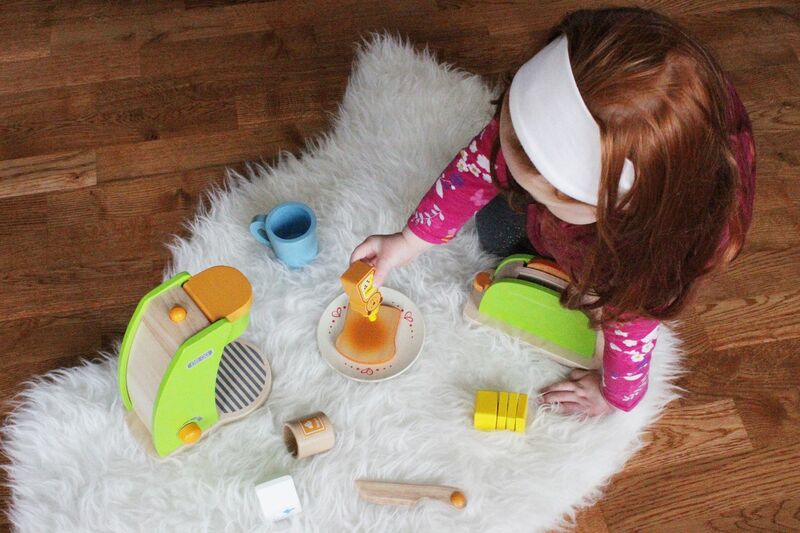 The brand is committed to finding and providing quality toys that can be enjoyed by your kiddos safely. You get the very best from Toy-Yo. 3.) The Price is Right. For only $19.99 a month, you get to check out two toys at a time and the toys often will be worth $40 or more. The toys are quality products, made well and some of the very best on the market. So you are getting MUCH more than you actually pay for. There is an option to gift Toy-Yo to a child in your life - what a great gift! 4.) Toys are categorized by age. 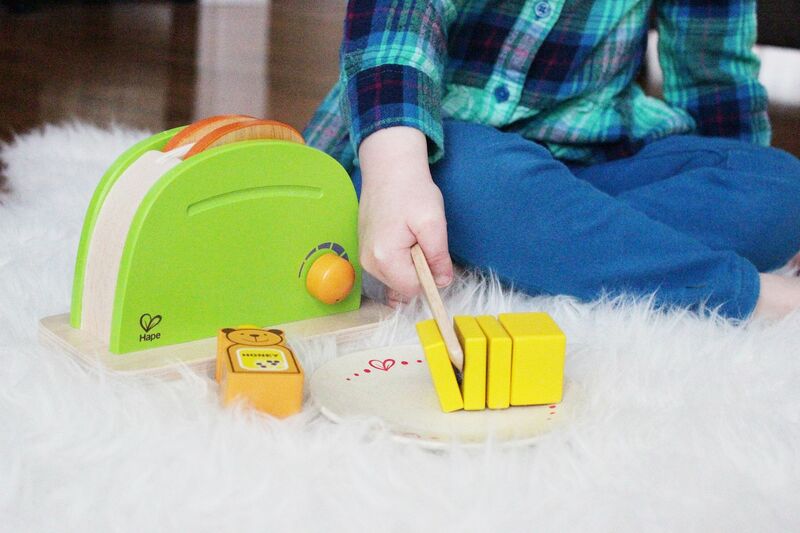 Toy-Yo takes the guess work out of wondering if you are selecting a toy appropriate for your child's age. When selecting the toys you want, their website offers three age filters: 6-12 months, toddler or pre-schooler. 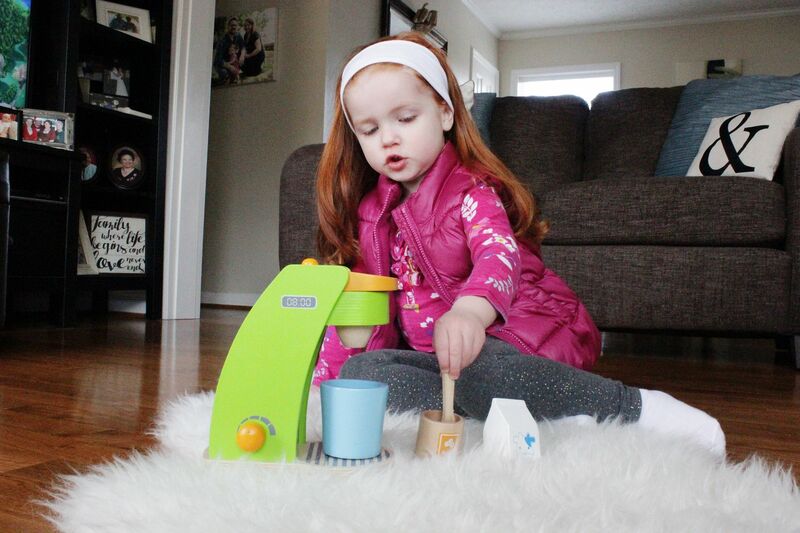 You can feel confident knowing that the toy will challenge your child, yet keep their attention. 5.) They carry well known brands that parents already love - and other cool products you might not yet know about. 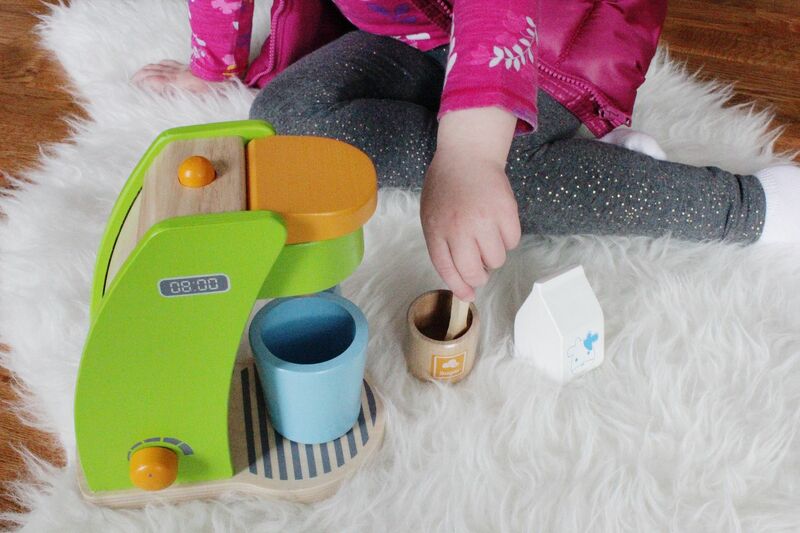 When I first posted about Toy-Yo on instagram, so many people commented that they knew the brand/toy we were playing with and enjoyed the HAPE coffee maker as well. These aren't toys you have never heard of; they are quality, top of the line toys. The brand also tries to introduce some lesser known, but amazing, top of the line toys to you as well; like UK retro company Indigo Jamm or Maple Landmark from the US. 6.) If your child decides that they can't live without a toy, you can purchase it. Because these toys are so great, I am sure there will come a time when your little one doesn't want to send it back. That's ok - you can buy the toy your child loves and everyone is happy! 7.) Toy-Yo pays for shipping both ways. When your child is done playing with their toys, parents don't have to worry about an additional cost just to ship the toys back. Toy-Yo takes care of shipping the toys to your home AND for you to ship the toys back to them. All you do is request a return label and you are set. 8.) Play for as long as you like with the toys. There are no deadlines or late fees associated with Toy-Yo. Your child can play with the toys as long as they like. There is a minimum rental period of 3 weeks, but you can keep the toys longer if you want additional play time. 9.) The toys are cleaned for you. Parents, you don't have to worry about germs. All toys are thoroughly cleaned and sanitized with non-toxic kid friendly cleaners. To see the full cleaning process, click here. 10.) Get a FREE book with your first month's subscription. For Pursuit of Pink readers only, Toy-Yo is offering a FREE book with the purchase of your first month's subscription. And it isn't just any free book, you will receive Guess How Much I Love You by Sam McBratney. This is one of Kendall's favorite books! This book is yours to keep and enjoy forever. 1.) Head to the Toy-Yo website. 2.) Click the menu link "Get Started." 3.) Enter the promo code PoP where it says "Have a promo code?" 4.) Continue to enter all details to sign up. 5.) Favorite the toys you like and checkout. Upon first checkout, Toy-You will ship you a copy of the book. 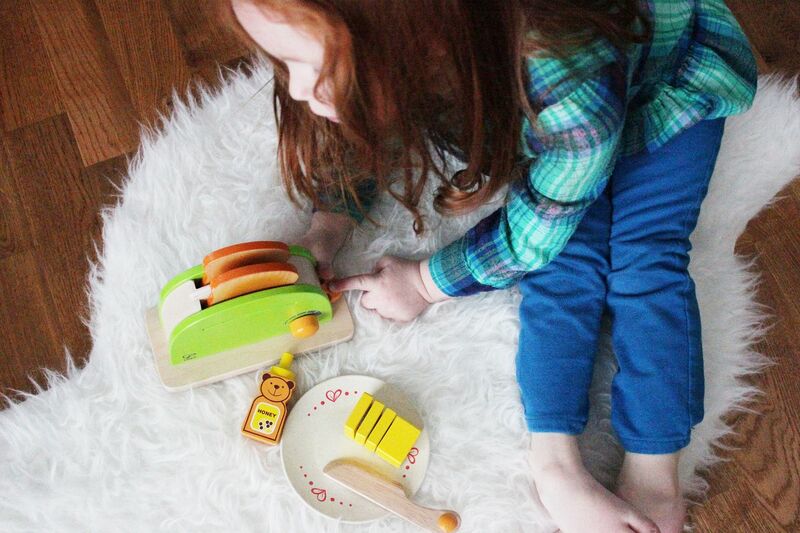 Thank you to Toy-Yo for sponsoring today's post!